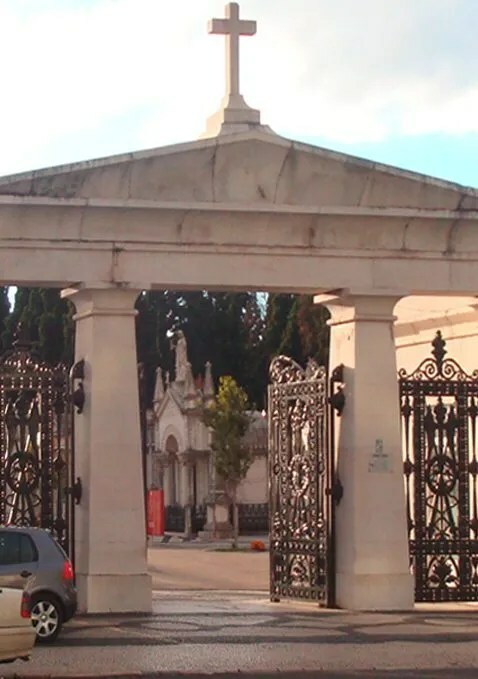 Located in the west part of Lisbon, Cemitério dos Prazeres (the Cemetery of Pleasures!) is the largest cemetery in the capital — and it’s worth a visit even if you don’t wear a lot of dark eyeliner as a regular thing. Constructed in 1833 to help Lisbon deal with a devastating cholera outbreak, it’s since become the final resting place for some of Portugal’s most famous citizens, although the remains of the fadista Amália Rodrigues and the poet Fernando Pessoa have been moved to the Pantheon and to Jerónimos Monastery, respectively. But because so many prominent families have buried their relatives here, the cemetery is an architectural marvel of mausoleums and intricate tombs spreading out as if in a small city, all under the shadows of cypresses. For the trees alone — the cemetery is reputed to be the oldest and largest collection of Cupressus sempervirens on the Iberian peninsula — this is an excellent place to get away from the city and the heat if you’re here in the summer. But it’s also a treasure trove for fans of symbology, the cult of death, and all things Masonic: the cemetery has sections dedicated to particular professions, and trying to figure out what symbol stands for what can easily take up a nice afternoon. And if you’re afraid of ghosts, fear not, for the cemetery’s resident felines make sure the dead don’t misbehave and make for great companions on your necro-explorations.